Solána Imani Rowe (born November 8, 1990), better known by her stage name SZA (pronounced Sizza), is a singer-songwriter. Rowe was born in St. Louis, Missouri but raised in Maplewood, New Jersey. She released her self-released debut EP, See.SZA.Run in October 2012. 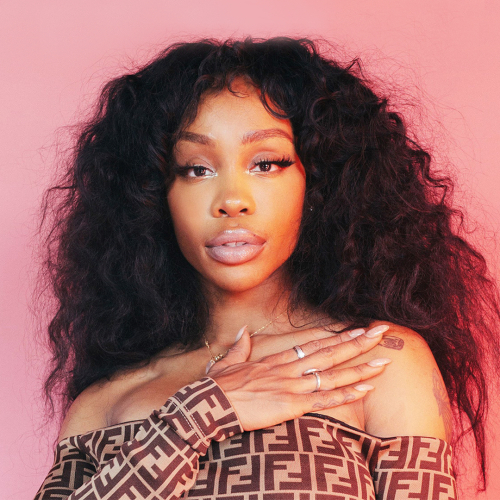 In April 2013, SZA released her S EP to good critical reviews— in July of that same year, it was announced she was signed to Top Dawg Entertainment and began working on her Z EP, which would eventually become a full-fledged album. Z was released in April 2014. Rowe's debut album, CTRL, was released in June 2017.